The long awaited Festool Cordless Sander range has been announced, exciting the Festool fan community. The three new cordless sanders being launched this September focus on size, efficiency and practicality. These are the cordless Orbital RTSC 400, the Delta DTSC 400 and the Eccentric ETSC 125. Below is an overview of the key features you need to know about for the new Festool Cordless Sanders. The sanders are light weight at just 1.4 kg, and can be easily moved and handled. They have been designed with a low height, meaning that they can be easily held and operated. Being cordless means there are no cables and hoses to restrict movement, enabling the user to work in difficult to reach areas. 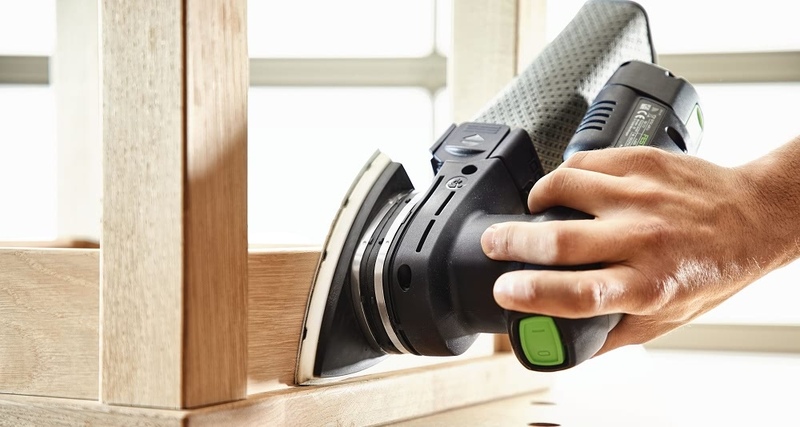 Despite their size and weight, each Festool Cordless Sander model still packs a punch. The 18v battery pack combined with the brushless EC-TEC motor technology means that these sanders have a power capability almost matched to that of a mains-powered tool. This means that users have the ideal combination of a light and mobile tool that has similar power of a traditional mains-powered sander. Festool focus on application based innovation – some jobs take a longer time to complete which is why these sanders (set version) also come with a mains powered option. The battery pack can be easily replaced with a plug-in mains adapter that ensures the tool can run throughout the day. 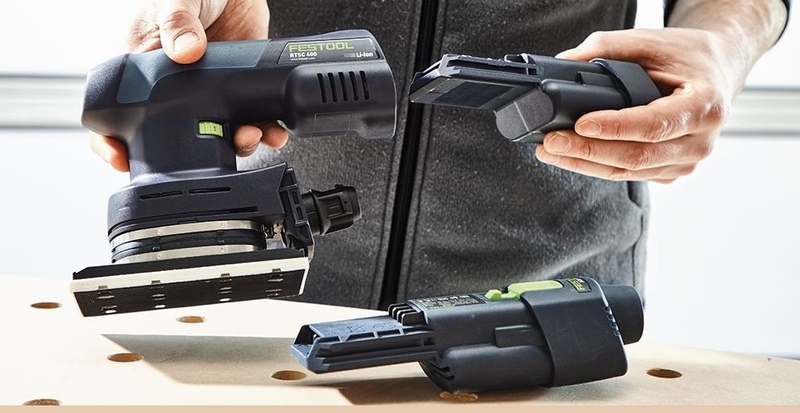 The battery pack that comes with the Festool Cordless Sander has a capacity of 3.1 Ah, efficient enough to power the sander to finish a job while keeping the tool lightweight and ergonomic in the hand. Festool Sanders are reknowned among tradesmen for providing a high quality finish – the new cordless range looks set to continue this trend. The tools are ideal for achieving a smooth finish along window surfaces, frames and panelling. Ideal for working on wood, removing both small and large amounts off the surface from difficult work areas. 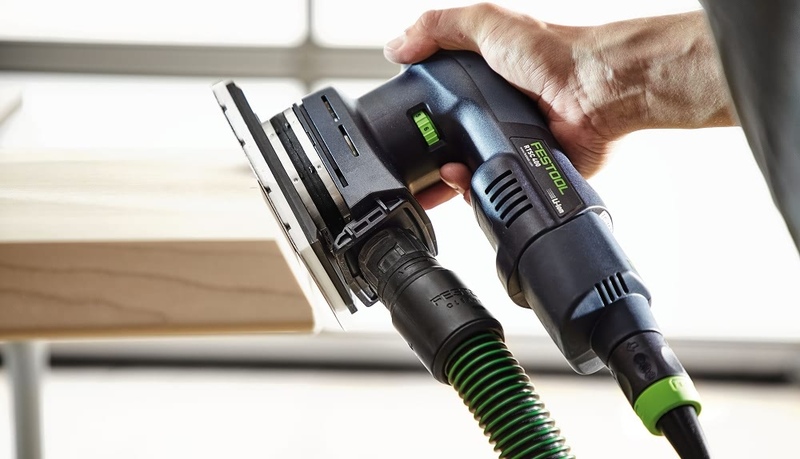 Efficient dust extraction is a requirement for the trade and Festool have made sure the new cordless sanders meet expectations. You’ll be able to choose between the equipped long life dust collection bag, which is made from extra durable nonwoven polyester, or connecting it up to a Festool dust extractor. The new Festool cordless sanders are available at Anglia Tool Centre in-store and online here.